Maloy Mobile Storage would welcome an opportunity to discuss storage solutions to satisfy all your needs. We provide our customers with safe, secure storage at an affordable rate. We have offices in Albuquerque, Las Cruces and Amarillo. 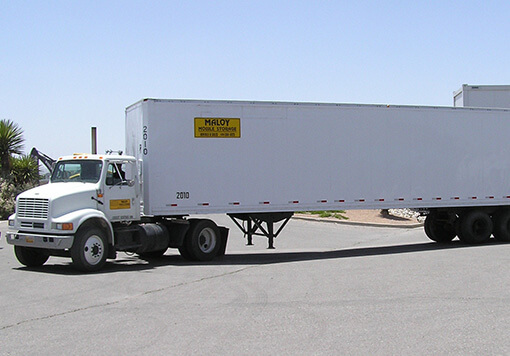 We have 10’, 20’, 40’, and 45’ container units available and 28’, 40’ and 45’ trailer units available. All our rental units are clean and ventilated. Our units provide immediate high security storage – better than any shed available. We designed and weld to the door of each unit a steel lock protector box that encases the 3/8” lock hasp, protecting it from tampering. This benefits our customers by providing the most secure and weather tight storage available for their products. Our office units are ready on delivery for you to connect for onsite use. We have 10’ and 20’ Office Units available for delivery. They have HVAC installed and provide a comfortable and secure office for your work sites. 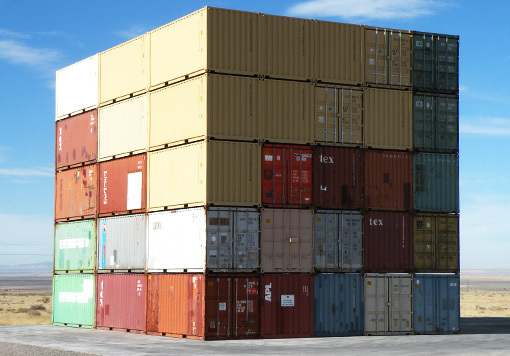 Our delivery drivers are skilled and experienced in placement of storage containers, office units and trailers. Our sales team members can answer all your questions regarding containers versus trailers and the benefits of each that will serve you best. Visiting our locations can give you a direct sense of the different sizes and storage space provided in our units. Our rates are competitive. If we are not the lowest price you are quoted, please allow us the opportunity to meet or beat our competitors. Our quality and customer service can’t be matched. Our long list of repeat customers says it all. We work with you to provide you with the storage you need and to meet your delivery schedule. 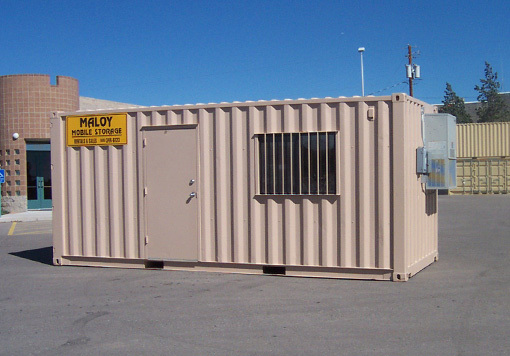 When you are in need of onsite storage, please contact Maloy Mobile Storage at (505) 344-6123 or (800) 748-3377. Our sales team will be happy to answer any questions.